Showcasing a sparkling cubic zirconia solitaire set upon a contemporary 9ct rose gold and rhodium-plated band, this elegant ring features an eye-catching stone set split shoulder design for a stunning finish. Strikingly luminous, this statement piece is destined to become her staple accessory for all occasions. 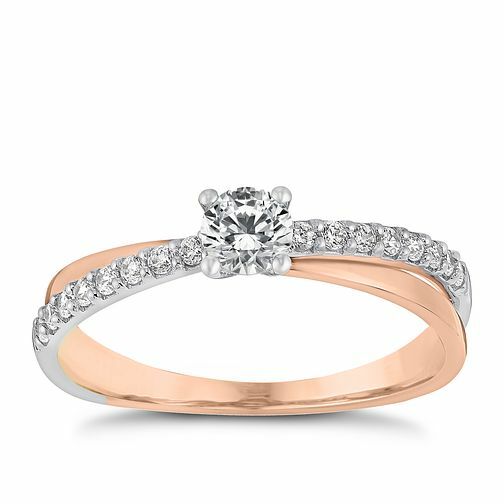 9ct rose gold & rhodium-plated cubic zirconia solitaire ring is rated 4.5 out of 5 by 2.